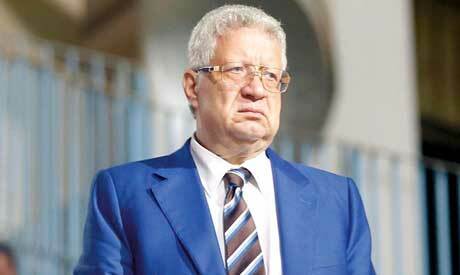 Egypt's Supreme Council for Media Regulation decided on Tuesday to ban Zamalek chairman Mortada Mansour from appearing for three months in all media outlets for his offensive remarks against famous football officials and figures in the country. The ban expires by the end of the year. The decision to ban Mansour - a member of Egypt's House of Representatives - was taken after a recommendation issued by the sports media performance committee after receiving complaints over what he said from insults in two separate interviews on the Pyramids TV channel on 12 September and 28 September 2018. The council said it had already received two complaints against the outspoken club chairman. "Both interviews included huge violations to freedom of speech and expression as well social values and norms," the statement said. This is the first time that the Supreme Council for Media Regulation issued such a decision against a person. The famous lawyer is currently facing a number of punishments from the Confederation of African Football (CAF) and the Egyptian Olympic committee due to his recent attacks on both organizations. Sports TV show "Pyramids Evening", which is presented by famous TV host Medhat Shalaby on Pyramids Sports club's official TV channel, was also suspended by the Supreme Council for Media Regulation for 15 days for hosting Mortada Mansour in two episodes and allowing him to make his attacks. In both episodes, Mansour insulted a number of CAF and Olympics officials by name, in addition to Ahly Club officials, using harsh words that drew considerable criticism. The council also warned the Pyramids channel of further penalties if it continued broadcasting the same material that the show was suspended for.